The Mother of Hundreds cactus is found in Central Mexico. I photographed this specimen at Phoenix's Desert Botanical Gardens. 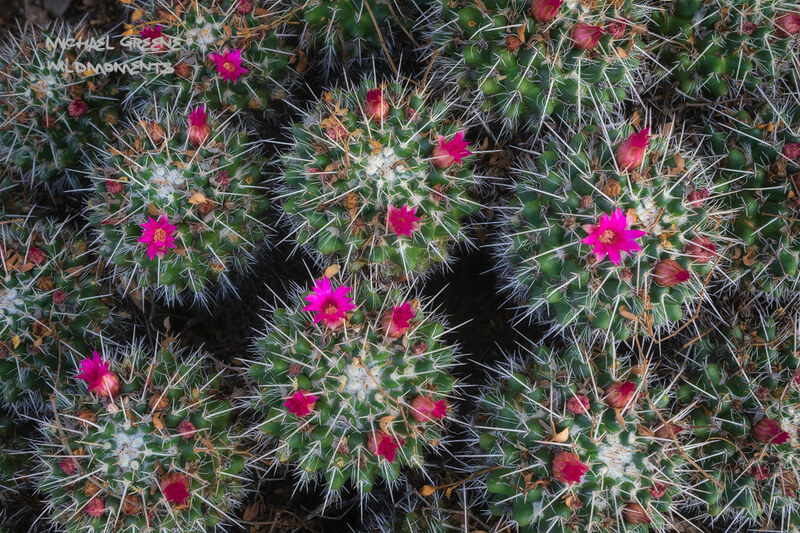 There you'll find interesting symmetry in many types of desert flora and springtime brings colorful blossoms. Photo © copyright by Michael Greene.